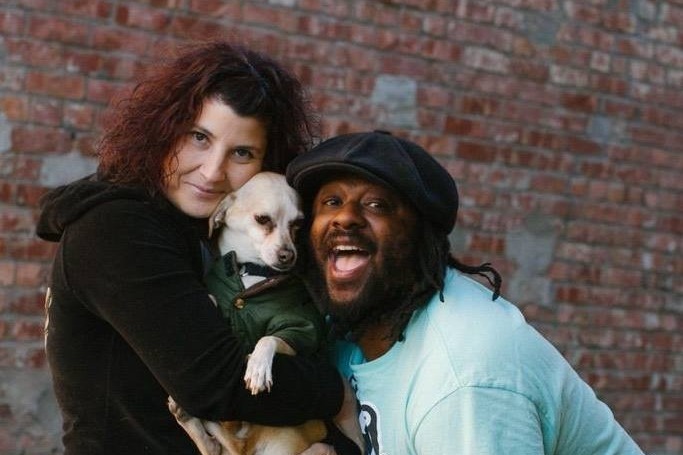 Fundraiser by Delvón Lamarr : Delvon Lamarr & Amy Novo - Family & Music Matters! Delvon Lamarr & Amy Novo - Family & Music Matters! As tough as this is for us, we are reaching out to all of you... our family has been faced with some challenging times lately and we are in need of some support to get through these trying times! With a growing family, growing business, and during a time when cost of living has also grown, no donation is too small! We embrace our challenges and growth, and we appreciate each and every one of you! Thank you! 2018 has been a mix of great, and not so great. Delvon Lamarr Organ Trio has been going places very FAST. This is, of course, AMAZING news. However, all that growth has come at a cost! Getting the band where it needs to be has been expensive, albeit necessary. On top of that, Novo Productions LLC is also fast and growing. In addition to the normal business expenses, legal fees and other costs to make sure the company is on the right path, the expenses from touring have been through the roof! Our tour van has been on its way out, and we're in the process of securing a new vehicle. We have taken out a loan to pay for it. This is necessary to keep the band progressing and moving forward! On the personal side of things, we've experienced two deaths in the family. Losing such influential people has taken a toll on our spirits, and it has also had financial consequences. Due to one of these loses, we've had to make some changes to our living situation, and our family is growing! Our son, who was taking care of his grandmother before her passing has moved from Missouri to Seattle to live with us. On the way to Seattle, his car broke down, adding one more expense to the growing list! In addition to welcoming our son, we will also be taking in our daughter, which will require some special accommodations in order to help her adjust to a new home and to provide her with the best opportunity for a healthy and supportive environment. On top of all of this, we are still planning to move to Austin, TX in January....only now we have 4 people moving instead of 2, plus our beloved doggie Booker T. Little! We embrace the changes that have come our way, and look forward to the positive experiences that await us! We are committed to driving Delvon Lamarr Organ Trio and Novo Productions LLC to great success, and have plans in the work to help us get ahead, but it'll take some time to implement these plans. Any help you can give to help us out during this transitional period so that we can sort everything out would be AMAZING! We thank you very much for your consideration and support! Thank you to each and everyone of you for all the love and support that we have received! Every dollar has helped. We have made it this far and still have a ways to go. But are grateful for everyone throughout this tough transition. My daughter has already had to take a ambulance ride and go to the emergency room since our stay due to severe asthma attack while we are in transition of medical care for her. Our bills are still here but we are slowly getting where we need to be. A good friend has loaned us money to pay our February. We look forward to being able to get back on track. No matter what our family is very grateful! Our 22 year old is still continuing to look for work as we continue to care for our 13 year old who needs continued care through her trauma at the same time maintaining our music and business... positive thoughts and prayers are also welcomed. After arriving to Texas we have financially made it here , pay pro rated rent for this month, get medications, some food, some school clothes and supplies! We are very grateful to everyone who has donated or for the kindness to our family. We are still under a lot of stress as we need to come up with $2500 for rent before the 5th, food, gas and utilities plus pay other bills! We are still working through the family trauma and trying to adjust to the transition with a sudden growing family just before our move! Thank you again for helping our family. Our family is currently on the road heading to Texas. We are very excited about the future of our business’, bands and family. If we would have not used two months of pay to go and get each one of our kids from different states after two different traumatic situations we would not feel the need to even do a go fund me. Would still of needed to ask for help but not to this extreme. We are very grateful for all that have donated and for all the continued support from family friends and family as well as people who we have never met! It is very hard for us to ask but our pride needs to be on the back burner as we have two additional members in our family that are depending on us! Times are tough for everyone around the world and when we are in a better place ourselves we believe in paying it forward and helping others in one way or another! It is very stressful when you worry about money and how you are going to get it to make means. But this is really hard to figure out how do we pay for pro rated rent and come up with $2500 in 2 weeks to pay rent again? Food/Gas/Medical needs? Our focus the last few months has been family and healing through trauma and work was placed on the back burner. We have no regrets sand the family is healing one day at a time! Thank you to each and everyone of you that have donated to our family. We are extremely grateful. To all our friends, family and fans that have been very supportive during this transition in our lives we are also very grateful. Granted this is very hard for my husband and I to ask for help it is beyond our pride to seek the help our family is in need of right now. No donation is too small and helps us one step closer to making this life changing events better for our family and maintain the success of our music that we have worked extremely hard for. Our 22 year old who moved to Missouri 4 years ago to take care of his grandma who was very ill after his grandpa passed. Including caring for his dad who is on kidney dialysis. My son became the personal nurse of his father and grandma. He was unable to work and had to take care of both of them 24/7 for 4 years. After the grandma passed we flew to Missouri to help him move back home with us. We drove his grandpas car that was left to my son in his will. Unfortunately during our drive the car broke down leaving my son with some more heartache due to the sentimental value of the car. Our 13 year had been through some major trauma and too has now moved in with us. She will require lots of professional care to help her through the trauma as well now school clothes and supplies. We have been focused every single day to help her transition from her move and provide a safe environment while working with the trauma daily. My son will be helping us take care of our daughter while we continue to build on our success with our music to be able to provide a stable home for our family. This is why he needs a car to work and to take care of his sister. We have experienced with in this time frame of all these changes our roommate for Texas having to make other plans since now it is 4 of us moving and the kids need their own room. So our rent will now go from $1500 a month to $2500 a month. Texas is still the best move for our entire family and for our business. I see a bright future for all of us we just need help to get ourselves on our feet and adjust to these massive changes. So as I mentioned our family has grown from 2 people with a dog to now 4 people and a dog. Food is twice as much and living changes. We are doing everything we can do provide and adjust but we do need some help at least enough to help us catch up and adjust to the changes. We chose not to share photos of the children as to the trauma and to protect her. Thank you again for all your help and understanding our family is very thankful.